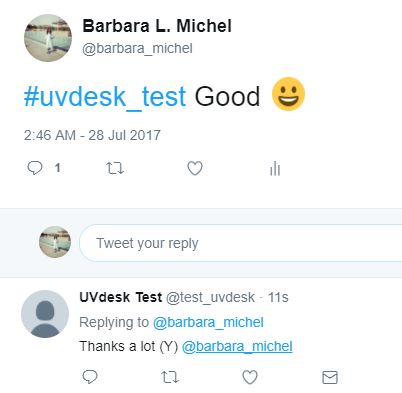 The Twitter App integration facilitates the help desk system to go social by connecting your Twitter account with the UVdesk and reach out to more customers for developing business. 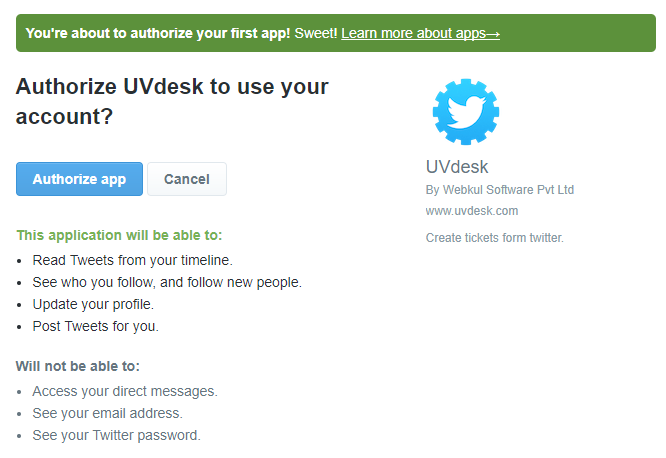 After adding your account with UVdesk, all the tweets of the customers will be forwarded to your ticket system and you can reply from there only without the need to login to the Twitter account. On the Dashboard, you will see "APP CENTRE" menu and under it, you will find "Twitter". Click on that button and Twitter App will get installed. Alternately, for uninstalling the app, go to Twitter "Overview" section then click on Uninstall button. 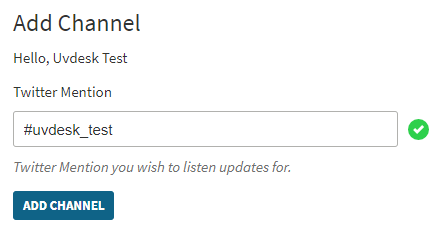 Now go to the "Configure" tab and click on "New Channel" to add Twitter Channel in the UVdesk. 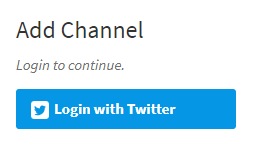 It will ask to Login with Twitter. After the login, Twitter App will ask for authorization needed for the integration. 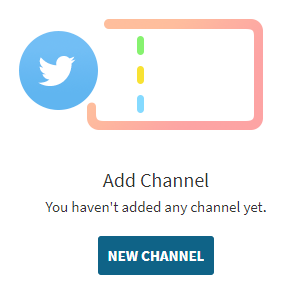 Now, add Twitter Mention and then click on Add Channel button. 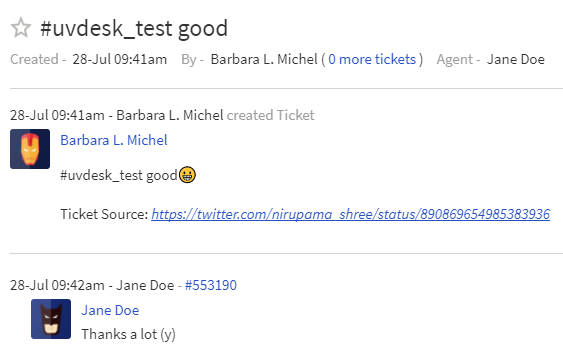 Now, if any user posts on your company Twitter page using the hashtag mentioned by you, then a ticket would be created in the Uvdesk Ticket System. The support staff can revert to that post from the ticket system and the reply would be posted on the Twitter automatically.